Toni's House is a 501(c)(3) organization that has been serving the Las Vegas community since 2010. When the idea came to me to start an organization providing a safe living environment for men and women in need of rebuilding their lives, I knew the key to our success would be having strong, motivated and dedicated leaders. I think we've been blessed with accomplishing the goal of assembling a team who can all bring their talents together for a common cause. Our staff is comprised of men and women from all social and ethnic backgrounds, some who's been afflicted with the disease of addiction and some who have not. We have a blend of individuals who would normally not cross paths if it wasn't for Toni's House bringing them together. Each person is unique in their own way. Each is passionate about what it is that interest them. I have to keep giving credit to God for hearing my prayers and making my dream become a reality. After you read about each member you will understand how blessed we are to have a group of experienced, professional volunteers who all work tirelessly to make Toni's House a success. We invite you to meet our team. As the bi-racial daughter of her Mexican mother, Antoinette "Toni" Espinoza, and her African American father, Barclay Gordon, and coming from an economically diverse area of Los Angeles, California in the 60's, Monique was blessed with having a unique life experience. This is an asset that helps her work with people of all backgrounds. She received a Bachelor's degree from the UNLV School of Journalism in 1983 and later obtained a Master's in Journalism from The University of North Texas. Over the past 25 years she spent her time helping those in need through working with various organizations. These philanthropic efforts and her career as a business owner and real estate Broker prepared Monique for the journey of creating Toni's House. After witnessing individuals close to her struggle with addiction, and the death of her mother, Toni, Monique decided to immerse herself into a cause close to her heart by providing a safe environment for others. Thus Toni's House was born. Monique is determined to make Toni's House a non-profit organization that will be able to help people for many years. Toni's House is honored to have Mrs. Charlotte Walsh as a part of our family. She's a native Bostonian who has moved to Nevada from the State of Washington. Mrs. Walsh is a fiscal conservative and a successful retired business owner. This made her the perfect candidate for the Toni's House Treasurer position. Her vision is for Toni's House to become financially self-sustaining, and we are close to this mission. Her input and business experience is a welcomed asset. We are committed to making Toni's House an entity for generations to come, and we believe Charlotte is the person to help us accomplish our goal. A native of Washington State, Ms. Ackley enjoyed a long career in corporate sales for local organizations such as The Seattle Supersonics and later became a small business owner. After experiencing some of the traumas of addiction through the experience of a close relative, Esther decided that she’d spend her retirement helping others in recovery. She relocated to Las Vegas and began working with Toni’s House, where she enjoys helping the women to become their best selves. Compton, Califonia native and TH Maintenance Manager Floyd James is a licensed handyman who has been in recovery at Toni’s House since April, 2014. His specialized skills and life experiences have uniquely positioned him to mentor new residents at the Men’s House, and he often teaches them a bit of his trade. In addition to overseeing all of the maintenance needs at both houses, Floyd also coordinates the transportation of donated items, materials, and equipment. 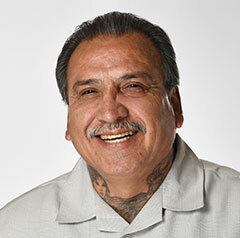 Pastor Eddie Neves is the leader of an “urban ministry” in Las Vegas called Homies for Christ, where he disciples those who were and are engaged in a life of crime. 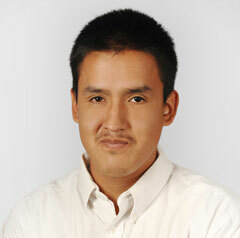 He assists members of his ministry in leading a positive life and in finding needed resources like food and housing. Pastor Neves has an incredible life story himself, having served 30+ years in prison after abusing and selling drugs. He’s a former gang member and survived what he called an “execution style” shooting and multiple stabbings. Pastor Neves uses all of the lessons he’s learned throughout life on the streets as well as lessons from the bible to empower his community. He is an active member to the men of Toni’s House and has led and contributed to our Bible Study. Nina Griffin has been described as a daughter, sister, mother, friend, Army Lieutenant, civil servant, evangelist, advocate, exhorter, motivational speaker and radio talk show host. was the Adjutant of her graduating class. She served her country both as enlisted and an officer for 10 years. Nina's radio ministries were a "labor of love" to bring about deliverance and healing restoration to those in need. She's also the Founder and CEO of "Lost Sheep Consulting" and has helped hundreds of companies increase their bottom line through proven Fortune 500 retention techniques. Nina makes her home in the greater Las Vegas area and serves as the Secretary for Toni's House, where she's able to continue making a difference in many lives. Ashley Ellis is a freelance writer and filmmaker with a diverse set of life experiences and a humanitarian worldview. She obtained a Master's degree from the University of Southern California in Professional Writing and holds a B.A. in Creating Writing from USC as well. She founded and runs Emerald City Arts, a socially conscious production company focused on film, music, and the visual arts. Ashley Ellis' E-book Haiti Sun-dried and Illuminated is now out. We are proud to have Ashley as part of our family. Her philanthropic projects are a testament to her commitment to service. 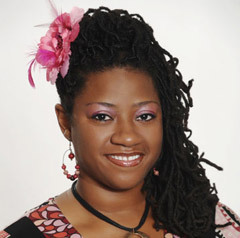 Originally from Chicago, IL, LaShonda N. Bussie has had a life not without difficulty. When LaShonda's mother died during her childhood, her family dynamics changed, and she was left without an influential female figure to guide her. Despite this, she excelled in school and became the Battalion Commander of her high school's Junior R.O.T.C. program. This title earned her two full scholarships for university study, which she thought she could not pursue when she became pregnant before graduating. Subsequent years of personal hardships and addiction left LaShonda separated from her children and in need of recovery, which she ultimately found. LaShonda was one of the first residents of Toni’s House and served as our Women's House Resident Coordinator. She has since moved into a beautiful home not far from our Women’s House. She is working full-time, returned to school and reunited with her children. LaShonda has successfully rebuilt her life and is helping Toni’s House to better serve its residents in her board position. 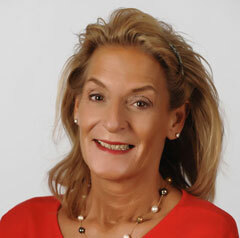 Anita Broderick James is an Associate Judge in the City of Houston Municipal Courts. She also serves as a substitute prosecutor in the cities of Sugar Land and Spring Valley Village, Texas. Prior to her judicial career, she was a law partner at a boutique law firm practicing consumer, family and juvenile law. Anita earned a B.B.A. from Howard University in ’92 and a J.D. from Texas Southern University in ’95. She serves as a mentor to Houston area teen girls through a non-profit organization and volunteers at senior citizen and Alzheimer care facilities. Los Angeles native Russell Ellis Jr. attended the University of Southern California and has since pursued a career in the arts and design, specifically in visual media Production Design and UX design. Russell is passionate about social justice issues and community building and contributes through involvement with many local and international organizations. He has served on the event production team of TEDx Crenshaw, which aims to imagine new possibilities for South Los Angeles, since its inaugural year. He’s also an active member of his church and supports local arts institutions. As a member of the Toni’s House board, he is able to contribute to the community of Las Vegas, where he has friends and family. Las Vegas native Heather Glusman hails from a family that is rooted in the local business community and society. She attended the University of Nevada Las Vegas and has been an avid connector throughout the city ever since. Believing that everyone deserves a second chance in life, Heather has been a supporter of Toni’s House since it opened and is now an active board member who organizes support from locals and local businesses alike. Piero’s, a restaurant owned by the Glusman family, is a historical landmark of Las Vegas and a community gathering place. Heather has facilitated the restaurant’s consistent support of Toni’s House events and development goals and has also hosted an annual Thanksgiving dinner for residents at the restaurant. Sheila Gradford has taken decades of experience in fashion production and applied it to the development of a successful custom furniture and interior design company, Loni M. Designs. The business started primarily through marketing and distributing high-end furniture and decor on e-commerce websites. Lucrative partnerships with e-commerce giants One Kings Lane, Joss and Main, Wayfair, All Modern and Luxe Décor quickly established Loni M. Designs as an industry leader. Recently, Loni M. Designs has expanded its operations by opening showrooms in the LA Mart in downtown Los Angeles and the World Market Center in Las Vegas. Apart from creating custom furniture pieces, Sheila prides herself on helping people and businesses to express themselves through the interior design of their residential and commercial spaces. Through her involvement of Toni’s House, Sheila is able to support individuals who are in the process of rebuilding every facet of their lives and working towards their own definition of home. She has also created employment opportunities for current and past residents. Dr. Todd Jackson was born and raised in Las Vegas. His family instilled in him a strong commitment to community service, which began with volunteering at the local shelter. After attending Brigham Young University, Dr. Jackson spent 6000 serving the people of Guatemala and made a promise that he would do all he could to serve others throughout his life. It was during this experience that he decided to become a medical doctor and surgeon. He attended the Medical College of Wisconsin and completed his residency at The University of Texas Health Science Center at Houston, specializing in ophthalmology. He founded Prestige Laser and Cataract Institute in 2011 with a mission statement to feed the hungry, clothe the naked, liberate the captive and care for the sick and afflicted. Dr. Jackson also participates in the H.O.P.E. (Helping Other People Everywhere) clinic on a monthly basis, where he provides care on a pay-it-forward basis. He is a member of The Gift of Sight’s Volunteer Medical Team as well as the organization’s leadership. As a member of the Toni’s House board, he is focused on ensuring the financial sustainability of the organization for years to come. 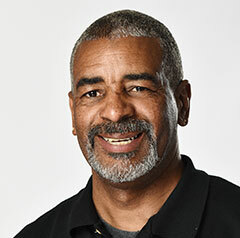 Darryl Johnson has been a contributing member of the Las Vegas community since attending the University of Nevada Las Vegas. He was formerly a Detective for the Las Vegas Metropolitan Police Department, where he served for twenty three years. In addition, he spent one year as an Estate Investigator for the Clark County Public Administrator and as an Alternative Sentencing Officer for the city of Henderson. Darryl was also a Territory Assistant at DePuy Synthes/Johnson & Johnson for three years. Darryl has always found ways to give his time and expertise outside of the duties of his career. He was formerly a board member of the Las Vegas Police Protective Association and the 2nd Vice President of the Southern Nevada Officials Association. He spent time as a DUI, traffic school, and domestic violence instructor and conducted drug testing for the Alternative Sentencing Program from the city of Henderson, with an understanding that addressing underlying issues in people’s lives can have a positive outcome for their relationship with their community and the law. Now retired from law enforcement, Darryl is still giving back to his community by volunteering his time in roles such as this one on the board of Toni’s House. Linda Leach is a mother of four and a proud grandmother to eight grandchildren, who she calls the joy of her heart. She is a member of the LDS Church and as such works with outreach programs in the community. Linda graduated from BYU in 1985 with a B.S. in Sociology. She received a Master’s Degree in Marriage and Family Therapy in 1999 and has worked as a Marriage and Family Therapist for 17 years. 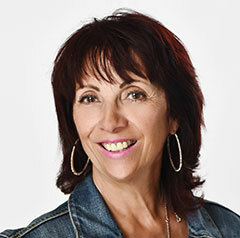 She has facilitated women’s abuse groups for 10 years and works with couples, families and individuals with issues ranging from anxiety and depression to addictions and abuse. Helping others heal from old pain is a labor of love for Linda. Randall Raby hails from Rochester, NY where he was the youngest of 7 children. Randall made his way to Los Angeles, CA after excelling academically in high school earning a full tuition scholarship to the University of Southern California. At USC he studied Business Administration at the Marshall School of Business and was initiated into Alpha Phi Alpha Fraternity, Inc. Alpha Delta Chapter. After graduating in 2007, Randall worked within the Sales and Financial Planning sector at Sony Pictures, the consulting arm of United Health Group, and currently as a consultant at DLC. Outside of his commitment to Toni's House, Randall also started a Los Angeles based educational foundation (The 1921 Foundation), and is a proud mentor to youth through the Alpha Esquires program. Jennifer Reid is an artist, educator, and advocate. She is currently a special education teacher with the Los Angeles Unified School District and an education consultation to the J. Paul Getty Trust. Prior to entering the classroom, she worked in arts and museum education at the Los Angeles County Museum of Art and the Museum of Contemporary Art, Los Angeles. She received her bachelors in psychology and art history & the visual arts from Occidental College and her masters in the arts in education from Harvard University. After serving in the United States Army (1969-71), Dr. Kenneth Westfield attended and graduated from the Wayne State University School of Medicine in 1976. He then completed his internship at Henry Ford Hospital in Detroit, Michigan, and residency training at the Kresge Eye Institute. In 1980, he founded a private practice in Las Vegas, which has since grown to become the largest full-service ophthalmology center in Nevada. The center includes an ambulatory surgical center, a Laser Refractive Center and an optical shop. Dr. Westfield is extremely active in his profession and the community. Among his many accomplishments, Dr. Westfield founded the Gift of Sight in order to realize his vision for a world where treatable yet debilitative eye conditions were addressed in the places of most need. Since its inception, he has been able to help and heal thousands of people in his own community of Las Vegas and the world over who would otherwise not have received the necessary care. 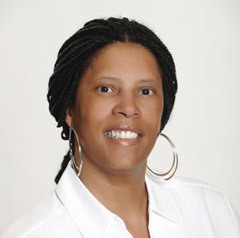 Vernessa White Gates is a veteran employment law compliance specialist who brings unparalleled, hands-on experience to her role as Chief Compliance/Consultant Officer at V&W Compliance, an independent consulting company that she founded in 2015. 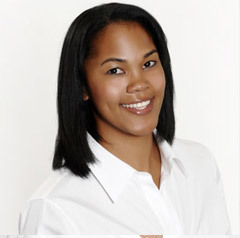 Vernessa completed her undergraduate work at Fisk University and received her MBA from the University of Central Florida. Her subsequent career in Human Resources spans over 35 years across multiple industries, including food service and hospitality, sports, and entertainment. She previously served as the CPO (Chief People Officer) at Bravo Brio for 10 years, where she crafted and implemented solutions to employee policies and operations while reporting directly to the CEO. Ms. Gates was the Senior VP of Human Resources for Jillian’s Entertainment Group, a multi-venue entertainment company and Vice President for food and beverage company AFC Enterprises. She obtained a breadth of experience working directly with a diverse roster of clientele as President of V.W. Gates & Associates, an HR consultancy. And she spent 14 years in management positions in the departments of Operations and Human Resources at Walt Disney World. Each of these opportunities have informed her acute expertise and increased her ability to identify strategies and solutions to employment compliance challenges. 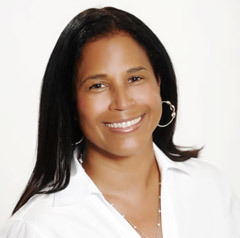 Tonya Williams has resided in Las Vegas for over 40 years. She opened the Mirage Hotel and Casino in November of 1989 as a VIP Representative. This was a very exciting time in the history of Las Vegas, the Mirage revolutionized gaming and hospitality on the strip. As a VIP Representative, she was trained in every aspect of the front and back of a hotel, along with casino marketing and had the opportunity to work with an array of team members, including housekeeping on preparing a room for a VIP, all the way to Steve Wynn relying on her to tour the property for prospective investors. She quickly rose through the ranks to a supervisor and ultimately to the manager. Tonya resigned in 1997 to get married and complete her education. She enjoys being a step-mom to her husband’s daughter and eventually had a son of her own in 2002. She graduated from UNLV in 2004 with a Bachelors in English Literature. Tonya has volunteered with Communities in Schools (CIS), a national organization with the main goal of lowering the high school drop out rate by offering services such as medical, food, clothing, glasses, etc., beginning in elementary school. Additionally, she became certified as a Student Mentor through the Clark County School District. In this program, she was paired with a high school student, and they met 1-2 times per week for academic tutoring or just to simply be available to discuss any concerns the student had. Tonya’s stepdaughter has experienced two rehabilitation programs for prescription drug addiction. The last program that she completed was at Desert Hope and upon completion, her intake counselor referred her to Toni’s House. Coincidently, her husband knew Monique Westfield quite well but had no idea of her affiliation with Toni’s House. Once she and her husband understood, they were overjoyed and curious as to what Monique’s vision was. Monique and Toni’s House provided her stepdaughter with some very important tools and knowledge of services available to her. Ironically and shortly after her stepdaughter’s departure from Toni’s House, her husband came to understand that he suffers from the disease of alcoholism. He has been sober for almost two years, attending AA meetings regularly, meeting with his sponsor and following the 12 Step program. As his spouse, Tonya has been attending Alanon meetings to understand the disease, and most importantly, tounderstand herself! As a long time Las Vegas resident and as a person who has been directly affected by addiction, she could not be more excited to be a part of Toni’s House. Jacklyn was a model resident for the type of woman Toni's House was founded to help. She is a single mother who successfully rebuilt her relationship with her daughter. Jacklyn's character, sense of loyalty and passion for helping other women in need shows. Ms. Rohlik is a graduate of the Westcare Serenity program. She returned to school in order to become a substance abuse counselor for young women and is now fully employed in the field. She's an avid reader who enjoys relaxing while losing herself in a good story. We couldn't have asked for a more passionate, honest, and loving person. It's exciting to watch her work to accomplish all of her new goals. Mr. Butcher not only brought rich diversity to our organization with his Native American roots, but he was also our Toni's House rock and one of the first men served by the organization. Cliff participated in shaping the Toni's House culture and was supportive of all our residents, initial ideas and projects. As Cliff grew, so did our fledgling organization. Toni's House is owned by the residents who live in the houses. We are proud to boast of Mr. Butcher's accomplishments. Cliff has works the 12 steps, reads his Big Book, works with his sponsor and continues to benefit from the support of his Toni's House family. He's been able to stay clean by his own determination. It's been a challenge, but Cliff has risen to the occasion and looks forward to continuing his quest of rebuilding his life.